A man doing market research knocked on a door and was greeted by a young woman with three small children running around at her feet. 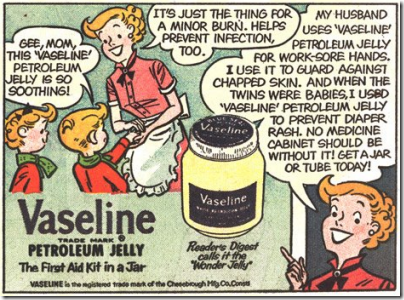 He says, 'I'm doing some research for Vaseline. And you thought it was gonna be a dirty joke...! -- The evil you do remains with you. The good you do comes back to you. I appreciate your work very much and would love to tell my friends about your posts. Thanks for sharing your information.